The Mini HAIKU fixed blade knife from Krudo Knives offers the user a strong self-defense tool along with a high-utility knife. The Mini HAIKU is made from 1095 high carbon steel with a black oxide finish. 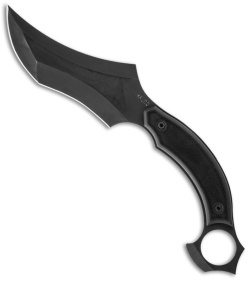 The handle is has black G-10 scales and a finger hole. 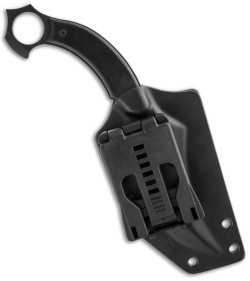 Includes a hard polymer sheath with belt loop system attachment.